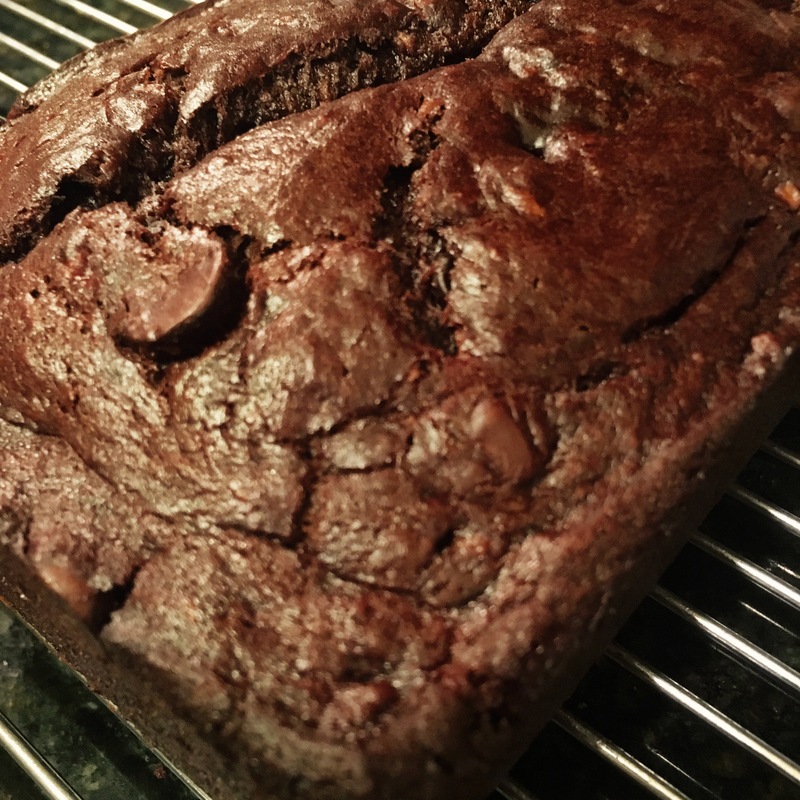 Banana bread made even better with chocolate. Mash bananas in the bottom of a large bowl. Whisk in melted butter, then brown sugar, egg, and vanilla. Place baking soda, salt, flour and cocoa powder in a sifter or fine-mesh strainer and sift over wet ingredients. Stir dry and wet ingredients with a spoon until just combined. Stir in chocolate chunks or chips.